Neydi’s rich, dark hair rests on her earthy, embroidered blouse. A confident woman with fascinating things to say, Neydi Cardeña has been charged with running the region’s young, government tourism department – an enormous job that she handles flawlessly. She speaks effectively, unwinding the dense, complicated story of Yucatán’s largest “municipio” (municipal district), size-wise, and second largest city, population-wise: Tizimín. Tizimín is a jewel with 86 facets. 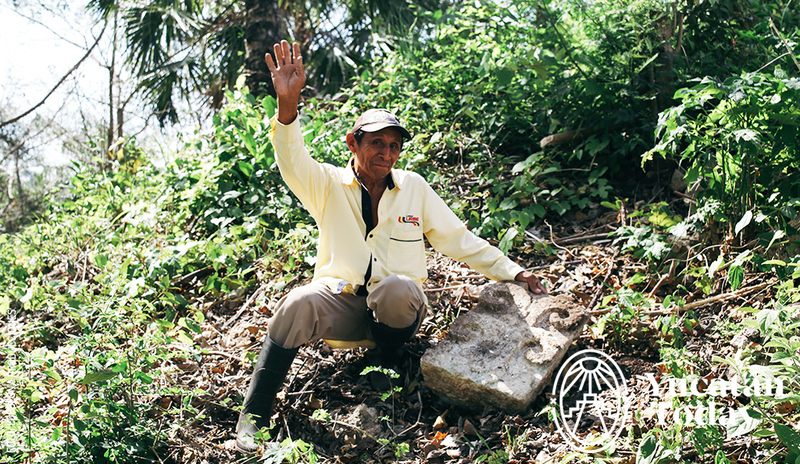 There’s not enough time for Neydi to share details about each “comisaría” (town), but her confident knowledge rests on the stability of her community and her personal connection with the land. She discusses every element: the culture of the modern-day Maya; geographical highlights (notably beaches and cenotes); and the sprawling concentrations of archaeological remains (most commonly, unexplored). Driving along the county’s highways, cattle farms and ranches with modern irrigation systems foil across the rocky landscape, forming the economic backbone of the region. Neydi dwells on what excites her. 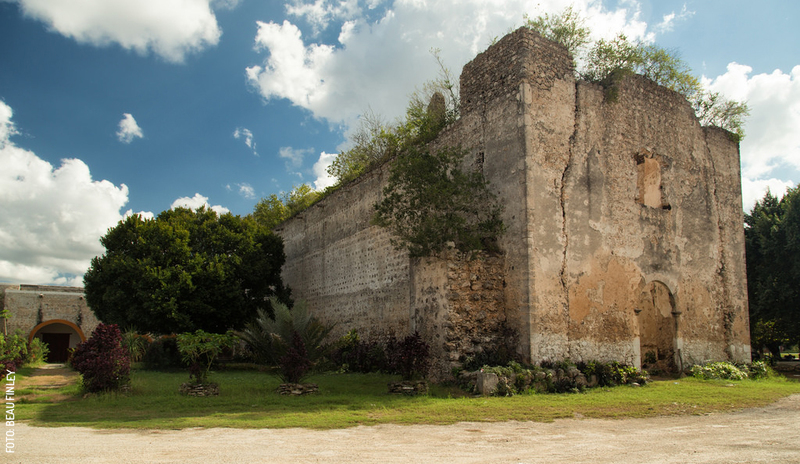 Notably, Kikil, a small population, home to a mystical church in ruins and a tourist stop with a quirky restaurant, cenote, botanical gardents, and chill spots. Swim in the enormous open-mouth cenote, then relax in a hammock underneath a locally-sourced “palapa” roof. Another pueblo, San Manuel, has more than 100 cenotes, and has hosted long-term research projects funded by National Geographic (page 53). El Cuyo has a beach so crystalline and secretive that we had to put it on our cover (see article on page 1), and finally, Kulubá, an epic archaeological site way off the beaten path. Full of natural wonders, Tizimín still hasn’t felt the pressure of tourism, like many other smaller cities. That’s why you’ll find pure “mestiza” culture strolling through the city’s Centro, and you’ll have to sink your teeth into the traditional culinary scene for food. The foundation of Tizimín’s gastronomical experience is the iconic restaurant, “Tres Reyes.” More than 40 years old, the restaurant maintains its vintage vibes with 70s style tables and chairs and orange and coffee-colored details. Enjoy a classic “michelada” and sincere interpretations of regional plates. I’m a repeat customer and always order the same thing, “Queso Relleno,” a complicated balance of white gravy, “queso de bola” (Edam cheese), and ground pork (garnished with the Lebanese touch of olives and raisins). Tizimín is locally known for its high concentration of cattle farms, and hosts dozens of stores which are dedicated to selling “carne ahumada” (smoked meat). Annually, the town breaks out in celebration with the “Feria de los Reyes Magos de Tizimín,” where the cattle fair, artisanal expositions, and religious traditions unite. The big events begin on the 28th of December and conclude on the 22nd of January of the following year. It’s the second biggest fair of the state. Nearly an hour outside of Tizimín at the archaeological site Kulubá, the smell of damp stone and the sound of fluttering bat wings resonate vividly. I feel a sensation that my college friends called, “perma-grin,” which is when you just can’t stop smiling. Climbing around the palace, I take deep breaths, carefully soaking in the electric feeling of being in such a spiritual place with no other tourists. I ask my mind to travel in time and imagine the people bustling through the central square. After all, Kulubá must’ve been a metropolis, which grew over the course of more than 1,000 years. A community which suffered the same dips and peaks of the wave-like frequencies of modern civilization. Stone drawings crawl along the façades of the long buildings. They strike me as overwhelmingly feminine – dots and curves, ancient representations of flowers. Between the flowing lines, my mind makes out a face… mouth, nose, and eyes. Symbolism which, for me, implies the way humanity is embedded within nature. I imagine the eyes of the stone mask batting open, red paint liquefying and taking over the structure. Chants and beats of the ritualistic war drum create a tribal rhythm – the sounds of an ideological war. A fight for freedom. Archaeologists have been tracing the ancient timeline of Kulubá off-and-on for several decades now. 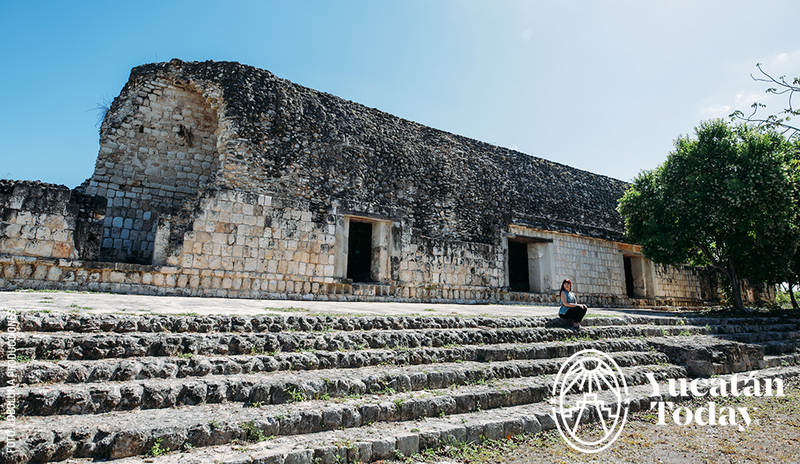 They identified the site as a critical subsidiary: first of the regional giant, Ek Balam, and later as a part of the congruous regional takeover of Chichén Itzá. Architectural styles of both sites as well as ceramic analysis of plates, pots, and typical household goods help archaeologists to draw these conclusions. Symbolic destroying and construction of architecture corroborates Kulubá’s tumultuous, warring history. The state government has plans to build the necessary infrastructure and open the site for public tourism in September 2018. Until then, the stones lie dormant, meticulously cared for by the rancher-turned-archaeologist, Don Willy. Petite and sure-footed, Don Willy carefully labors over the site, keeping an eye on the intricately carved rocks and offering quiet tours to the adventurous. The sign-in book shows a steady trickle of guests – sometimes even on a daily basis. The small thatch-roofed museum houses several jaw-dropping pieces of the stone artwork, in repose from the harsh beating of the Yucatecan sun. Follow our map of Yucatán to visit the site. Be warned that the road is rocky (but maneuverable). Wear adventure-ready clothes and bug spray to ward off insects and ticks (highly recommended), and remember to tip Don Willy – the guardian of the past. By car on the toll highway: Take the “cuota” road to Valladolid, and then follow the signs north. By car on the free highway: From Mérida take the highway to Motul and then continue east towards Tizimín. The highway is safe and in perfect condition. The trip of approximately 170 kilometers takes 2 hours. 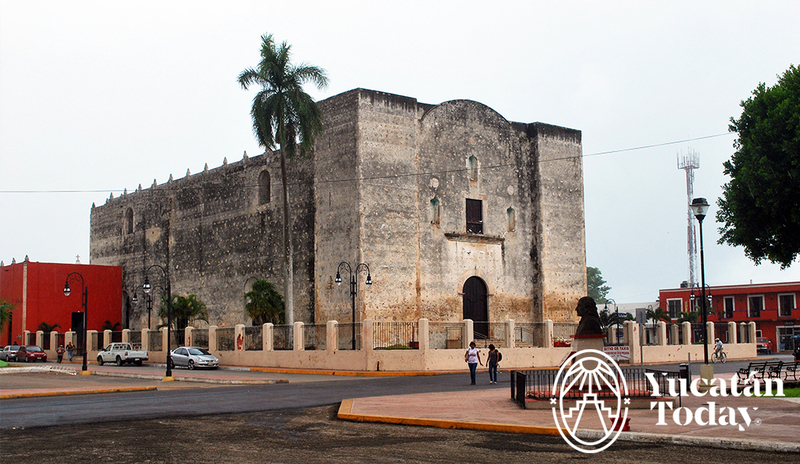 By bus: Take a collective taxi in Mérida at Calle 65 between 52 and 54.